Following the widely publicized disclosures that the US National Security Agency had engaged in extensive surveillance of phone calls, email and other private communications from Internet companies, PEN Canada asked Avner Levin, Director of Ryerson University’s Privacy and Cyber Crime Institute, to consider the complications that may arise when information sharing arrangements allow national security agencies to circumvent strictures on domestic surveillance. Peace, Order and Good Government? If you believe that Canadian authorities such as CSIS and the RCMP must go to court to intercept and read your emails, read on. Yes, you are correct that the straightforward application of Canadian law – our Criminal Code – requires law enforcement agencies to obtain a warrant in order to intercept communications, but recent revelations of the extensive surveillance programs conducted by the American National Security Agency shine a light on the cooperation between the NSA and its counterparts such as the Canadian Communications Security Establishment, and the warrant-free information sharing it enables. This cooperation allows law enforcement agencies to circumvent the straightforward restrictions that you believe in, by having the agencies of one country conduct surveillance on the citizens of another country, then share that information with the agencies of the other country. Yes, with the very agencies that are required by their country’s law to obtain a warrant prior to such surveillance. To use Canada and the US as an example, the NSA intercepts and collects the communications of Canadians, then shares it with CSIS, the RCMP and other Canadian law enforcement agencies. The CSE intercepts and collects the communications of Americans, then shares it with the FBI, CIA and other American agencies. This form of cooperation is possible because the restrictions that liberal democracies typically place upon their law enforcement agencies in dealing with their own citizens, in the form of judicial supervision and authorization, do not generally apply to the activities of foreign citizens. In Canada, for example, the National Defence Act allows the CSE to intercept communications related to “foreign intelligence” on the authority of the Minister of National Defence – and therefore without any form of judicial supervision. Foreign intelligence is “information or intelligence about the capabilities, intentions or activities of a foreign individual, state, organization or terrorist group, as they relate to international affairs, defence or security.” To the CSE all American communication is “foreign” – and therefore fair game. Similarly, for the NSA all Canadian communication is “foreign” – and therefore fair game as well. Do not forget that the uproar in the US (if one can call it that) has centred on the fact that Americans were inadvertently caught in the authorization given by the US Foreign Intelligence Surveillance Act court to monitor and intercept the communication of foreigners. There was little concern expressed over the surveillance of foreigners by the American government. There is little concern expressed in Canada over the surveillance of foreigners as well. How much information about foreigners exists in Canada for the CSE to collect? 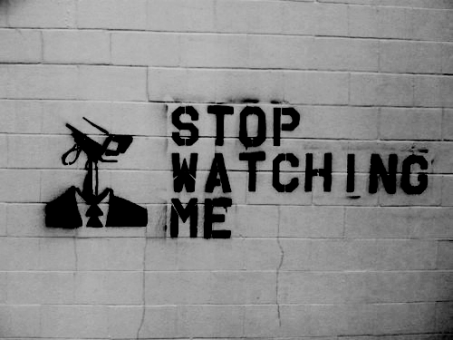 How much information about foreigners exists in the US for the NSA to collect? Due to the nature of the Internet and commercial carrier agreements – a lot. The National Defence Act allows the CSE to collect foreign information from the “global information infrastructure,” which it defines as “electromagnetic emissions, communications systems, information technology systems and networks, and any data or technical information carried on, contained in or relating to those emissions, systems or networks.” That is an extremely wide – and not geographically constrained – definition that allows agencies to capture any form of communication that involves foreigners. 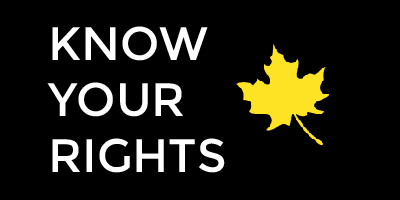 The last legal piece that allows the information to be shared between countries, yes, the piece that allows Canadian law enforcement agencies to receive information about Canadians without a warrant, and to circumvent Canadian law, is the piece that establishes mutual legal assistance and cooperation between countries. Canada is party to more than 140 treaties with other countries, including the US, under which each country may make formal, judicially supervised requests for legal assistance. The treaties, however, are typically used at the end of an investigation, in order to ensure that information gathered may be used as evidence in court to secure conviction. Earlier investigatory stages are covered in a less formal manner, under the umbrellas of “working groups”, “protocols”, “informal arrangements”, “joint initiatives” etc. Canadian law enforcement agencies operate within these initiatives under internal guidelines and memoranda of understanding, such as the RCMP’s Operational Manual or Administrative Manual. There is no judicial oversight of these guidelines, they are barely constrained by law, and they have been used by our agencies to share information about Canadians, as was the case with Maher Arar. The NSA, CSE and their counterparts in trusted “Anglo” allies such as the UK, Australia and New Zealand, use these informal arrangements to their advantage, in the name of national security, and provide information to each country about its citizens. Little is known about the mechanism of this cooperation or about how automated it is, but if the extent of the recently revealed NSA programs are any indication, one could speculate that the cooperation is on a vast, automated scale. It certainly appears to be on a scale that allowed the Canadian Government in the summer of 2012 to drop its “lawful access” legislative initiative without undue harm to domestic law enforcement. Canadians, indeed citizens of any liberal democracy wishing to preserve their fundamental freedoms and human rights would do well to protest the establishment of such widespread cooperative surveillance programs and their exploitation of existing legal loopholes. Yet, as the story of the NSA continues to evolve into the personal tragedy of Edward Snowden, political action and inquiry into the legality of such programs seems less and less likely, while complacency and blind trust in peace, order and good government prevail – to our peril. Avner Levin is Director of the Privacy and Cyber Crime Institute and the Law & Business Department at the Ted Rogers School of Management, Ryerson University. He is a frequent media commentator on privacy, surveillance law, and business.